Warrior Gold provided an update on the company’s drill program on its Goodfish-Kirana project in Kirkland Lake, Ontario. 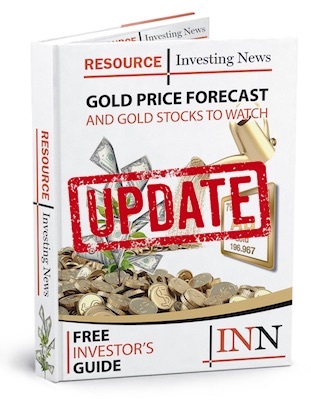 Warrior Gold (TSXV:WAR) provided an update on the company’s drill program on its Goodfish-Kirana project in Kirkland Lake, Ontario. To date, 1,522 metres of drilling has been completed in 10 holes, 845 meters of core has been logged, 650 meters of core has been sampled and 482 samples have been delivered to ALS geochemistry in Timmins for assay analysis. The Goodfish-Kirana project is situated approximately six kilometers north of the Cadillac-Larder Lake fault zone in Kirkland Lake and hosts numerous gold showings, pits, shafts and several historical underground workings. The A zone is a high-grade gold target that is hosted in an east-southeast trending shear zone. This area contains the property’s most extensive historical underground development and past drilling. The majority of this drilling was conducted in the 1990s and lacks complete sampling and assay records. Warrior’s drilling is testing the extension of the mineralization along strike and down dip of a historic drill intercept of 12.65 meters that assayed 16.97 grams per tonne gold. Is a northeast-trending shear zone that was insufficiently drill tested in the 1980s and 1990s. High-grade mineralization associated with the contact of quartz-feldspar porphyry and mafic volcanics, as well as high-grade grab samples indicate that the mineralization continues along strike. Magnetic signatures from the airborne survey suggest a possible association with an inferred cross-fault. Drilling is intended to confirm historic grades and confirm the zone’s continuity along strike and down-dip. The Deloye zone is interpreted to be an extension of the Kirana deformation zone which intersects the southern extention of the Goodfish deformation zone. The target area includes a 1930s shaft with high-grade gold in grab samples, drill core samples, and mapped quartz-feldspar porphyries. Drilling is designed to test the Kirana break below the historical Kirana Kirkland mine underground workings, and the gold mineralization along deformed porphyry contacts. The target is a shallow geophysical IP anomaly (chargeability/resistivity) coincident with an inferred cross-fault and fold hinge as identified in the airborne magnetics. Drilling is testing both the structure and the IP anomaly. Click here to read the whole Warrior Gold (TSXV:WAR) press release.